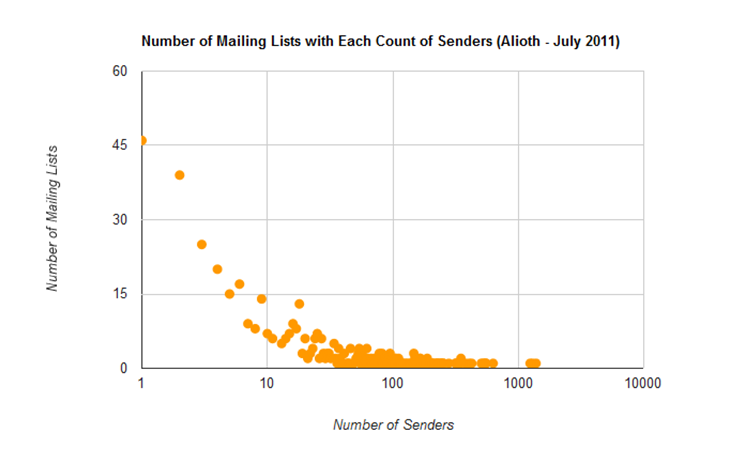 This graph shows the number of mailing lists with each count of email senders in Alioth. The first number shown when hovering over a dot is the number of senders. The second number is the number of mailing lists with that sender count. Use the results from the following query to create a temp table. Use the temp table for the following query.